Thanks. Any idea as to how to determine the age of the tripod? There are so many for sale on eBay, I don't want to wind up getting on that's seen its better days. Any idea as to how to determine the age of the tripod? There are so many for sale on eBay, I don't want to wind up getting on that's seen its better days. Between the photos posted & the description listed you can usually tell the condition pretty accurately. Other than that you can ask the seller questions. With Manfrotto tripods the most that you might have to do is to tighten some screws for the leg clamps, or, brush off some dust with a toothbrush. Occasionally a sticky leg might need a little WD-40 wiped across it. If you get one with a crank for the center post you might also want to brush off the teeth of the center post, with a toothbrush, & give it a light coat of WD-40 as well. These are all very minor age related touch-ups. I think that the majority? of tripod owners never consider any kind of regular maintenance or clean-up. Mine get really dusty from just sitting around the house all year long. Edited by hallelujah, 03 November 2018 - 11:09 AM. Really good advice. I had a Manfrotto fall apart on me in the field once with a Canon 5D on it. I regularly check my tripods now for tightness and general maintenance. Really good advice. I had a Manfrotto fall apart on me in the field once with a Canon 5D on it. I regularly check my tripods now for tightness and general maintenance. It must have been a Manfrotto clone. Here are photos of the two common versions; the pre-'94 (upper) and the later, still in production version. For a BT, I recommend the later version as it lifts the weight slower and easier. Parts are readily available for the later models, if needed eventually. The legs themselves have changed little. Don't buy unless a good range of photos are provided. You can tell if the tripod has had rough handling vs. the "creampuffs". Edited by Rich V., 03 November 2018 - 11:46 AM. My ‘not a clone’ Manfrotto MagicArm quit locking in place. Great visual explanation, thanks Rich! Recently I bought a well used Manfrotto 144B tripod for 25€ and a well used also Manfrotto 808RC4 3 axis head for 30€. I got these from a long time friend who is clearing some older gear and shopping for new photo equipment for his studio. 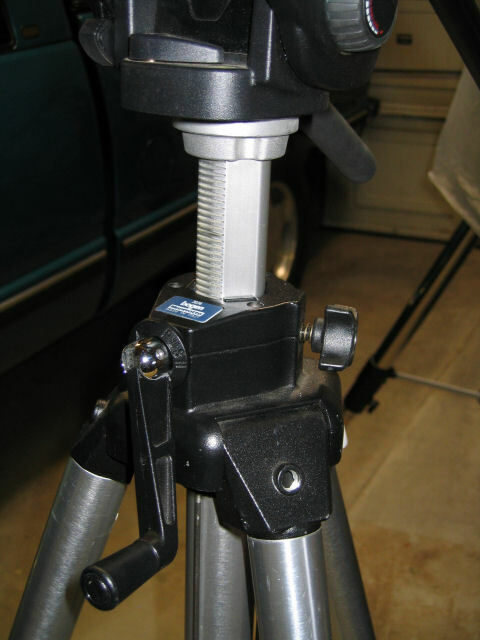 I believe the tripod was also sold by Bogen, under model number 3011. The B in 144B stands for the black version. The head was produced after Bogen turned into Manfrotto DIstribution and it has the same designation in the US. The head is currently in Manfrottos catalogue and its RRP price in the US is 180$. If I remember correctly, the 144B was replaced somewhere in late 90s or early 10s by the 055 model. The 144B is one of those old Manfrotto designs wich only has one angle position for leg spread and because of that it is considered obsolete by todays standards. Nonetheless, it loads up to 6Kg (13,22lb), stands 1,71m (5,61ft) tall to its head mounting flange and weighs a very reasonable 2,5Kg (5,5lb). Tripod was very dirty, had stickers from the photographic studio were it was used, had a couple of legs very loose from the central triple, the mounting flange where the head is screwed was loose about 3mm (1/8") and tilted somewhat inside the column tube, some of the screws were rusty and there was grub everywhere. I took a morning to disassemble it, cleaned everything, removed rust and grub with bicycle chain cleaner, allow it to dry and the next day I reassembled everything, greasing where needed with Dow Corning Molykote BR2 lithium based grease. Apart from the signs of wear, some scratches and one small dent in one of the legs, the tripod actually looks like new. I just had to change two rusted nuts and one screw. Everything else remained original. First tests were very good, legs are moving tightly and maintain spread position quite well and do not wooble. The central triple is tight also, as are all screws, and the column does not shake anymore, neither the mounting flange rocks. This is the build quality we used to see in the 70s and 80s and this quality is rare nowadays. Tripod is around 30 years old, with hundreds or thousands of hours of use and it will last some more, after this refurbishement. To get this level of tripod today I would have to buy something like the 055, wich sells for around 250€ (tripod legs only) in a photographic shop close by me. The 8Kg (17,63lb) rated 808RC4 head was a bit worse, the horizontal panning movement had its rotation a bit stiff and needed attention, the quick release automatic locking mechanism spring was broken and the RC4 quick releasing plate was missing. I disassembled the bottom part of the pan movement, cleaned, greased and reassembled. Found a suitable spring in a spare box of a machinist friend and rebuilt the automatic locking mechanism for the QR plate. In between, I ordered a replacement quick release plate (Manfrotto 410PL) at the professional photographic shop, wich took 2 days to arrive. Head is working fine now, does all movements with lots of fluidity and appart from some paint chipped corners, looks quite good. Total cost was only 81€, (not accounting for my own labour and the few cents I spent in grease and the replaced screw and nuts), versus some 400€ for a new similar set. I had a lot of fun, managed to see one more example of Manfrottos old days excellent craftsmanship in detail, found a cheap temporary solution for a tripod option while I decide what kind of support better suits my observation needs and helped the environment, avoiding one more recycling process and one less new tripod to be fabricated and sold, saving water and resources. Althought a 3 axis head is not the ideal head to be used with observation gear and a friction video one is better, the 808RC4 has (swichtable) balancing springs on the vertical and horizontal tilts and actually is quite nice to use with my Aculon 10x50s. To finish, I consider optics should be bought new or close to new (for the obvious reasons, namelly more modern coatings, interior cleaniness, optical allignment, etc) but regarding mounts, given they are mechanical items, one may find quite cheap solutions out there, wich with some care and technical expertise, may come as pretty nice and affordable solutions, even if they need some new parts, wich in the case of Manfrotto, are widely available. Edited by StarDustBin, 03 November 2018 - 06:28 PM. I like working with my hands; bringing an old Manfrotto tripod & head back to life sounds like a worthy cause and gives personal satisfaction when everything is put back together, in good working condition. The best reasonably priced head for a 100 90 is a used Vinten vision. Then Manfrotto N12, N8 is not adequate. Anything below I can't bear, but it all depends on you. Ricky, what mounting plate or bracket is required to use with the n12? Nothing special, just screw in the plate(included) to the base of the bino. It does indeed Stan. I guess there is satisfaction in the human actions that turn something bad into good. Edited by StarDustBin, 04 November 2018 - 08:27 AM. I have found a BHP link for a PDF file of a late Bogen catalogue for tripods and supports. You might want to have a look at the catalogue, to see if you can find further information on the Bogen used tripods that might show up along your search for a suitable support for your APMs. The catalogue has some other brands and models, but there is an index at the beginning of the catalogue to help you going to the right pages. The .pdf document linked here is pretty dated; it appears to be showing the pre-'94 lineup of Bogen/Manfrotto gear. Too bad it doesn't show the 2-way video heads of the time; only 3-way photo heads and ball heads. Lots of changes in the lineup since this was made. Good background info on the older products from a number of mfgrs, though. Wish B&H had similar pages of the more current gear in this format. "Wish B&H had similar pages of the more current gear in this format." Edited by Rich V., 04 November 2018 - 01:34 PM. 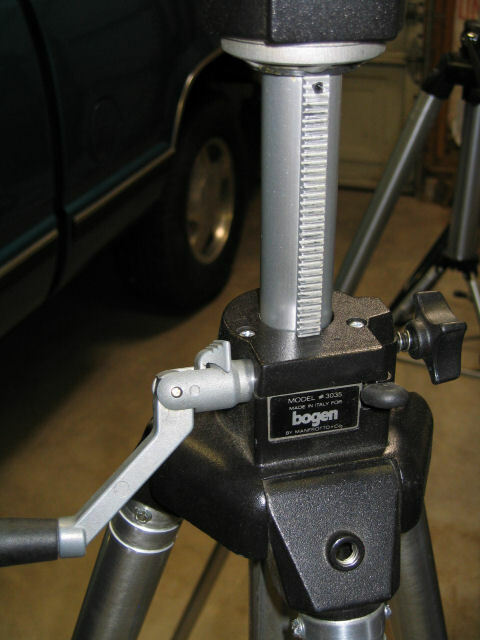 I have found a BHP link for a PDF file of a late Bogen catalogue for tripods and supports. I have three older paper catalogs from Manfrotto. One catalog has 60+ pages, another 90+ pages, & another 100+ pages. I miss the good old days when catalogs abounded & you did not always have to go to the internet. I really enjoyed sitting down & sifting through the models, & the specifications, and being able to highlight the stuff that was most interesting to me. Edited by hallelujah, 04 November 2018 - 04:05 PM. I still get the massive B&H catalog in my mailbox every few months. Trouble is, outside of a few cameras and related items, most of the products in it are electronics and things I couldn't care less about anymore. The fun of cameras went away when all the menus and settings and complications of digital imaging made it more about the camera/electronics and less about the photo. Maybe that's why I like the simplicity of old fashioned binos and scopes on basic mechanical mounts; no electronics to muck it up and distract me from just seeing the beauty of nature through them. I used to collect catalogues too, from photographic brands and also from HiFi brands. I had more than 200 catalogues from Nikon alone, some of them printed in Japan, starting from the F3 series. I had catalogues from early 70s from Canon, too. I had plenty of catalogues from US high end Hi-Fi manufacturers, like Conrad Johnson, Magneplanar, Krell and Mark Levinson, amongst others. I gave them all to a friend who had the same likes, when I left to London, some 20 years ago. The quantity of information on those catalogues was amazing and reading them was much nicer than to watch specs on a computer screen. Edited by StarDustBin, 04 November 2018 - 05:30 PM.